6.10 pm Doug Spowart: Welcome and good evening. Photographers and those who make photobooks are storytellers – and – with this in mind – I would like to acknowledge and pay respect to the traditional owners and story-tellers of this land on which we meet; the Gadigal people of the Eora Nation. 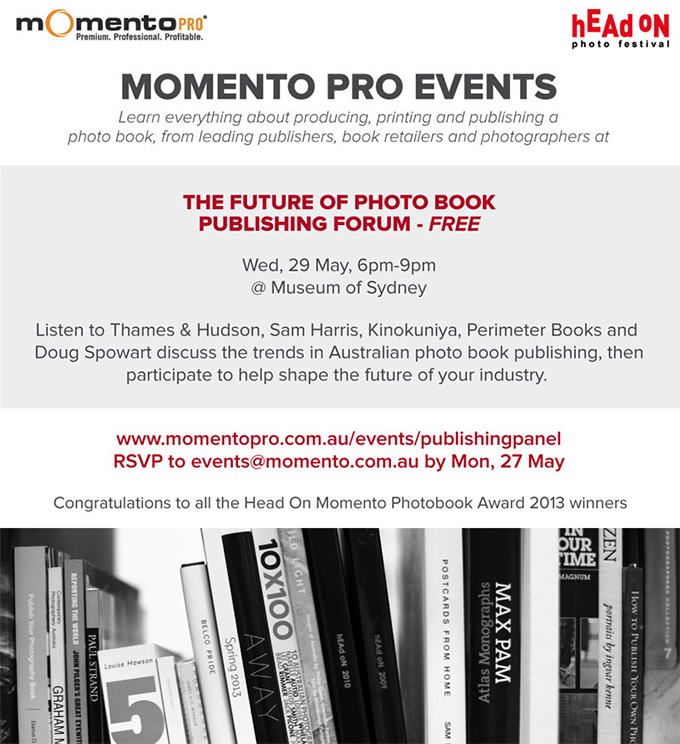 This evening we will discuss the photobook and consider the opportunities for its future in Australia. My name is Doug Spowart, I make artists books, photobooks and I have a research interest in photography and the form of the photobook. This evening I’m joined by an eminent panel of book people with a wide range of knowledge and expertise on the topic. The photobook is indeed the ‘perfect medium’ for photography and its history, the history of photography are inextricably linked with that of publishing. In fact some of the earliest experiments in photography made by Hércules Florence (1804 -1879), Nicéphore Niépce (1765 -1833) and Henry Fox Talbot (1800 -1877) were to discover methods and processes that would enable the copying and printing of texts or designs by capturing and fixing camera obscura images. In March 21, 1839, Talbot, the inventor of the negative-positive photographic process wrote to fellow researcher Sir John Herschel, about the potential of his calotype research work. 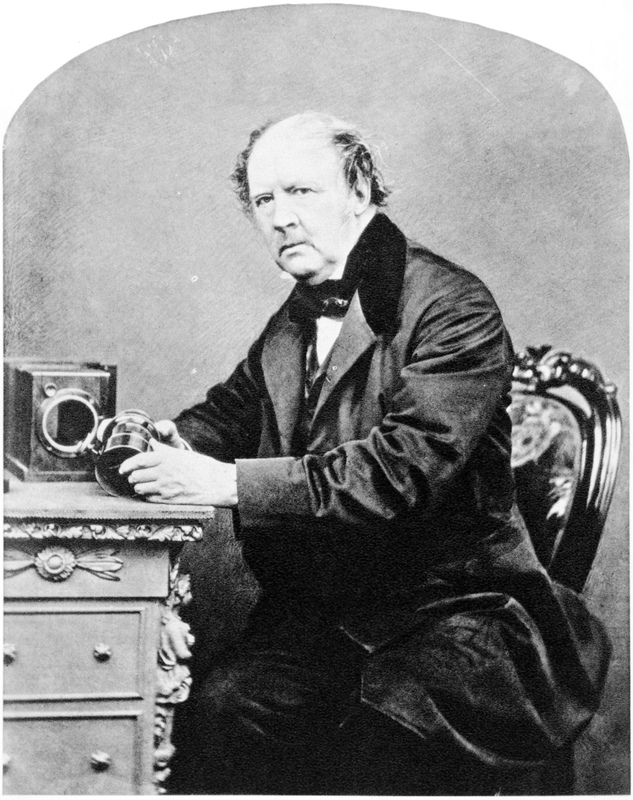 In this letter he predicted that photography would make ‘Every man his own printer and publisher’(Talbot 1839). Talbot within four years set up a printing works at Reading where he printed the images for The Pencil of Nature, his treatise on the photographic process. This was published as a serialised form of text with tipped-in calotype images. Books illustrated by photographs as a genre of the publishing industry flourished. The photographic image could operate as a storyteller, a precise document of truth, a device to entertain and, at times, a carrier of propaganda. Early photography book works consisted of travel, geographical and military expeditions, trade catalogues, scientific and ethnographic documentation. Although some photographers, like Talbot, may have established their own publishing ventures, usually the photographer was a supplier of images for a publication that was commissioned by someone else – a publisher, benefactor or government agency. The publishing of a book was, and still is, a task requiring the specialized skills, the entrepreneurship and financial acumen found in the worlds of publishing, marketing and bookselling. Books are created for a purchasing audience: it is a mercantile process where return on the investment in a publishing project is a necessary outcome. 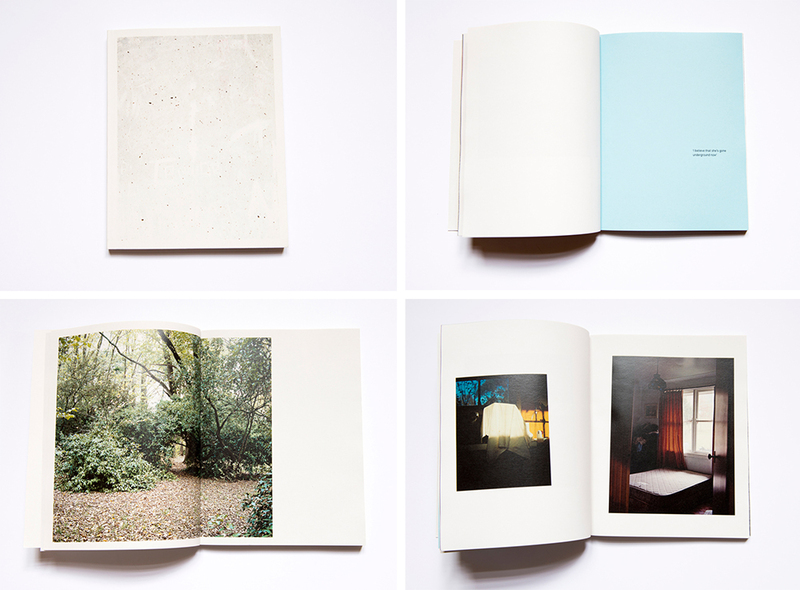 What is it about photographers and their need for photobooks? 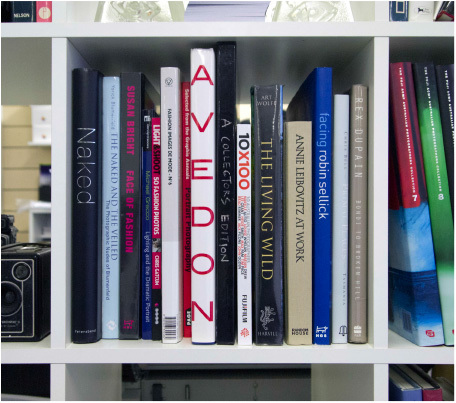 So photographers seek inspiration for their work by building their own reference libraries: have you ever visited a photographer and not had discussions about books or been invited to see their library? It then makes sense that photographers will want a book of their own. Photobook publisher Dewi Lewis exclaims: ‘I have yet to meet a photographer who doesn’t want to see their work in book form.’ (Lewis and Ward 1992:7). Does it then follow that every photographer of note or the creator of a significant body of work deserves a book? It is not that easy. Amongst others the photobook publisher Dewi Lewis argues that the market for photobooks is limited – where he identifies that: ‘photographers themselves are the largest purchasers of photobooks’ (Lewis and Ward 1992). Parr himself bought in as many copies as he could at that price (very much below the cost of production) (Metelerkamp circa 2004:7). But while remaindered books can be a great way to acquire a low priced library they represent a loss to the publisher, who may then be wary of undertaking future photobook ventures. The photographers who are successfully trade-published are usually either well known and/or are those who produce work that is of interest to a broad audience. 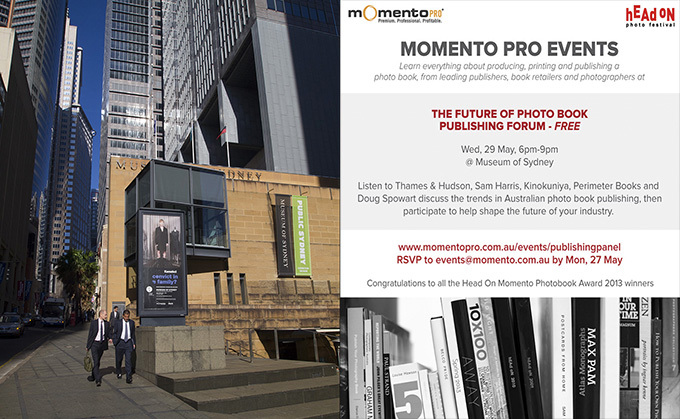 Most notably in Australia this has included celebrated photographers such as Harold Cazneaux (1878-1953), Frank Hurley (1885 -1962), Max Dupain (1911-1992), Jeff Carter (1928-2010), David Moore (1927-2003), Peter Dombrovskis (1945 -1996), Rennie Ellis (1940-2003). So what about the photographer doing it for themselves? 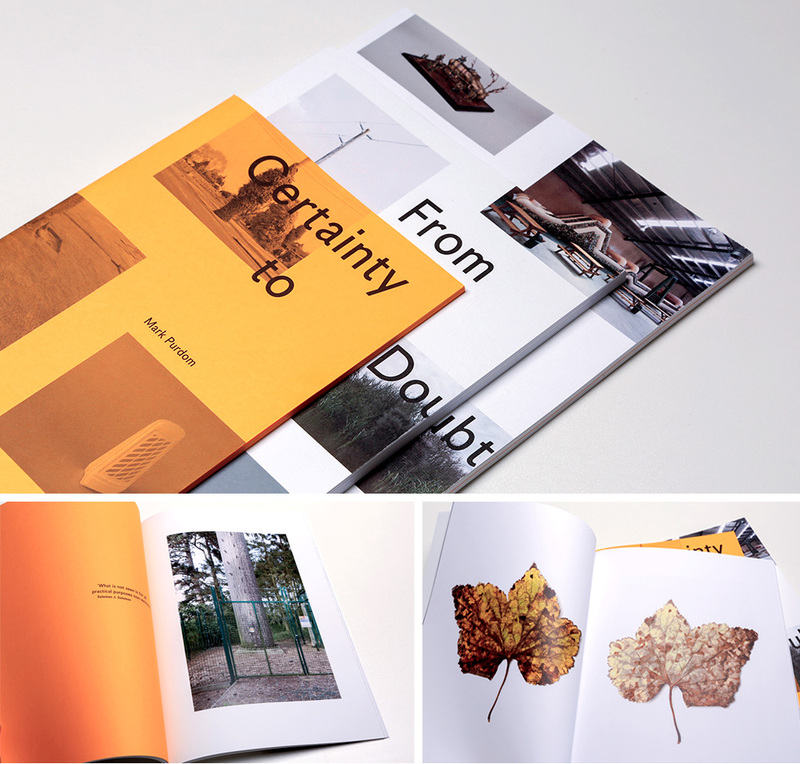 Historically, the self-publishing of photobooks was a huge investment of time and money – an individual photographer’s access to the required production and printing facilities was a major barrier. Also those who have financed their own publishing exploits generally lacked the distribution and marketing connections that were attached to the major publishing houses. Access to printing facilities were overcome by the photographer having contacts in or working in the printing industry such as American photobook-maker Ed Ruscha did with books like Twenty-six Gasoline Stations (1963). In Australia Peter Lyssiotis was able to produce: Journey of a Wise Electron (1981) and other books by participating in a co-operative that accessed a commercial printing press during down time or on weekends. But these access points were not available for everyone who wanted to publish a book. It has been a long time coming, but 175 years later with digital technologies including DIY book design software, print-on-demand presses like HP Indigo, the self-published photobook is fulfilling Talbot’s prediction. 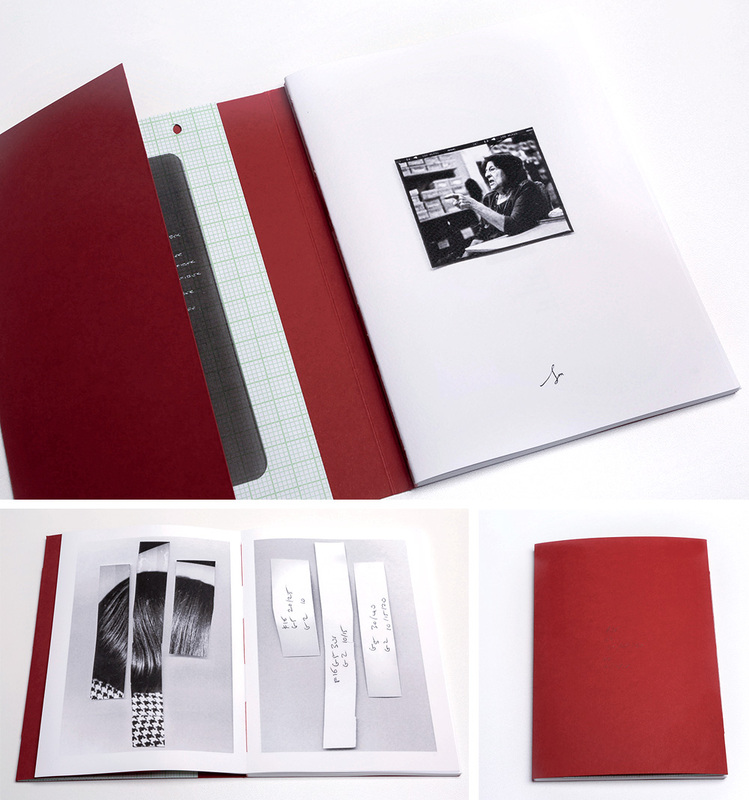 It’s never been easier for anyone to make a photobooks. The photobook discipline now has commentators and critics, there are awards, linkages with the artists book, supporting independent groups like Self Publish Be Happy, The Photo Book Club and the Indie Photo Book Library. However just making a book, even your own, does not guarantee success – whatever that might be. But at this time, what are the barriers and opportunities that we in Australia need to consider and respond to as this boom in photobooks continues? What ideas, social and political mechanisms and appropriate structures do we need to create to nurture and support this emerging publishing paradigm? What is the recipe for the perfect commercially viable photo book? 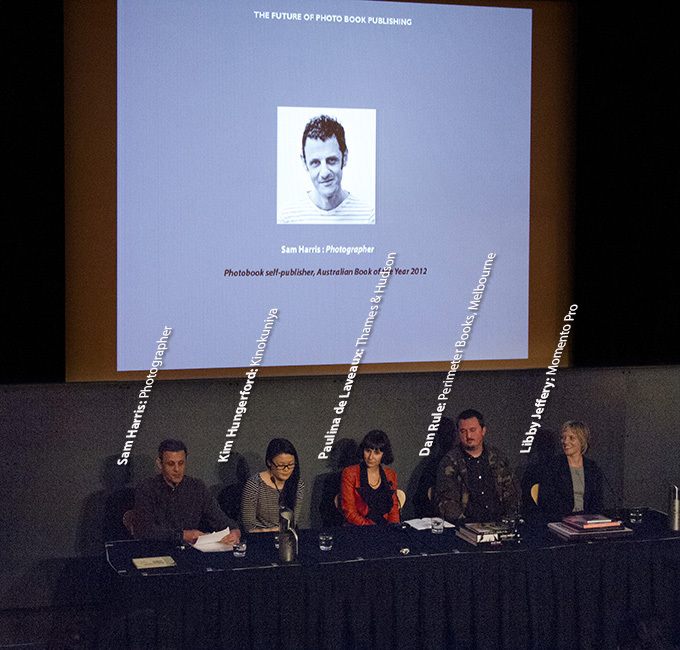 Are Awards/Fairs/Festivals/Exhibitions important to or essential for photo book sales and marketing? It’s often stated that the basic market for the photo book is photographers themselves – how can this market be expanded so that the photo book can become more popular for a broader audience? Is the Australian photo book consumer more interested in Euro/USA content than homegrown books? Is there a market for Australian photo books overseas? 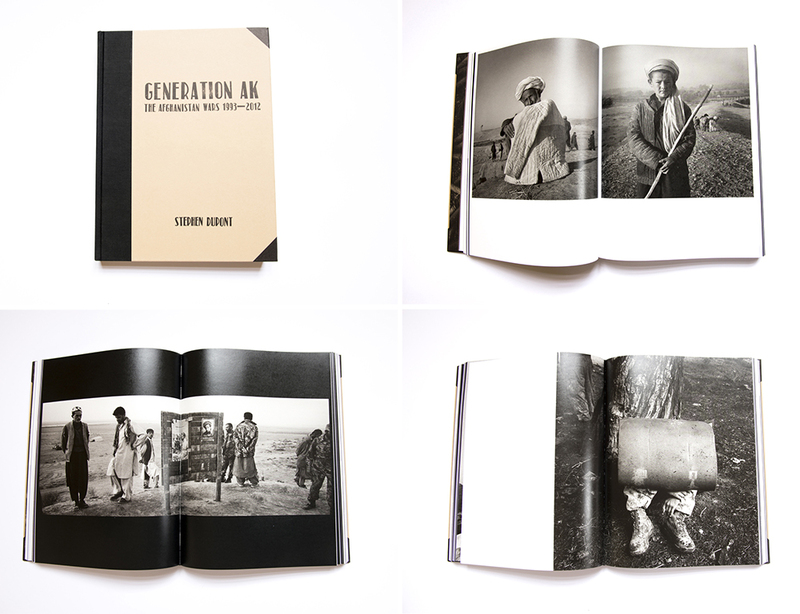 Are there mechanisms in pace to support photo books as export? Are our photo books internationally competitive? If, as a publisher, you were approached by a photographer with a photo book idea – What would you expect them to bring to your meeting with them. What kinds of books/themes or content would an independent or niche publisher take on that a mainstream publisher wouldn’t? In the photo book genre, as with other special interest low volume publication sales, will print on demand publishing become a viable option – thereby doing away with the practice of remaindering? 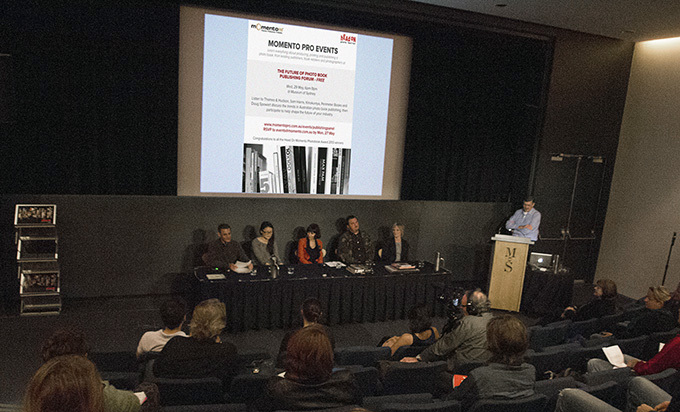 How can we nurture, inspire and develop the Australian photo book market? In conclusion … I’d like to see, and I guess you would as well, that the photobook break from the publishing paradigm that Bill Owens spoke of before. Let’s hope that as a result of, or perhaps more modestly, that this forum will contribute to a future where photographers and their photobooks will be recognized, revered and financially rewarded for their contribution to telling their stories, our stories and the stories of humanity and of life on this planet and beyond. Adams, R. (1994). Why People Photograph. 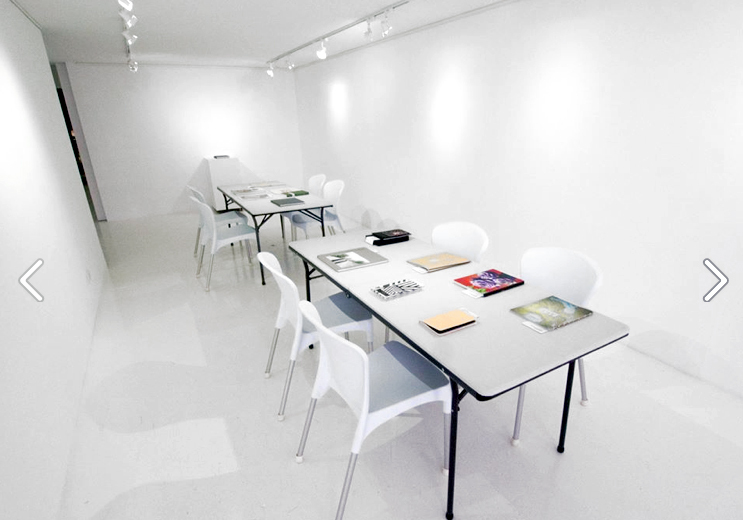 New York, USA, Aperture Foundation. Badger, G. (2003). Collecting Photography. London, Mitchell Beazley Ltd.
Craven, R. H. (2002). Photography past forward: Aperture at 50. New York, Aperture Foundation Inc.
Himes, D. D. and M. V. Swanson (2011). Publish Your Photography Book. New York, Princetown Architectural Press. Lane, G. (2006). “Interview: Photography from the Photographer’s Viewpoint. Guy Lane interviews Martin Parr.” The Art Book 13(4): 15-16. Lewis, D. and A. Ward (1992). Publishing Photography. Manchester, Conerhouse Publishing. Metelerkamp, P. (2004). “The Photographer, the Publisher, and the Photographer’s Book.” Retrieved 12 March 2009, from http://www.petermet.com/writing/photobook.html. Owens, B. (1979). 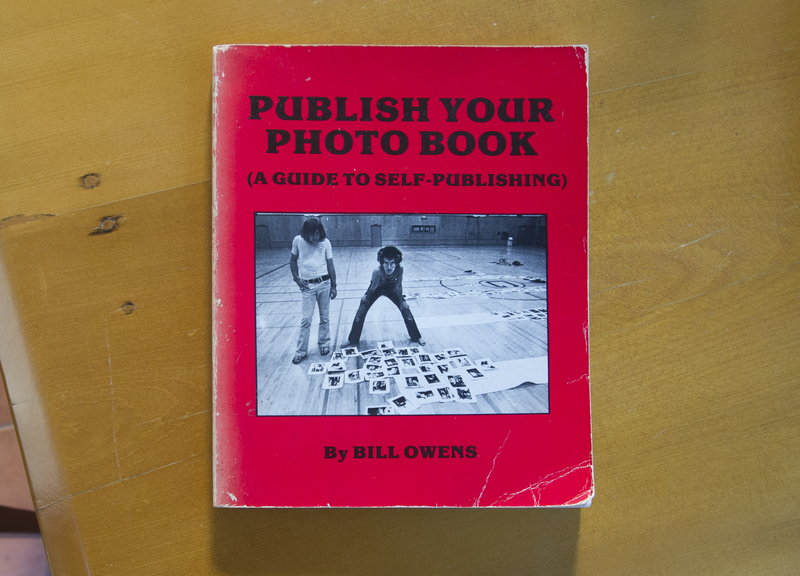 Publish your Photo Book (A Guide to Self-Publishing). Livermore, California, USA, Bill Owens. Talbot, W. H. F. (1839). Letter to Sir John Herschel, HS/17/289. The Royal Society. S. J. Herschel. London, UK, The Royal Society: HS/17/289.